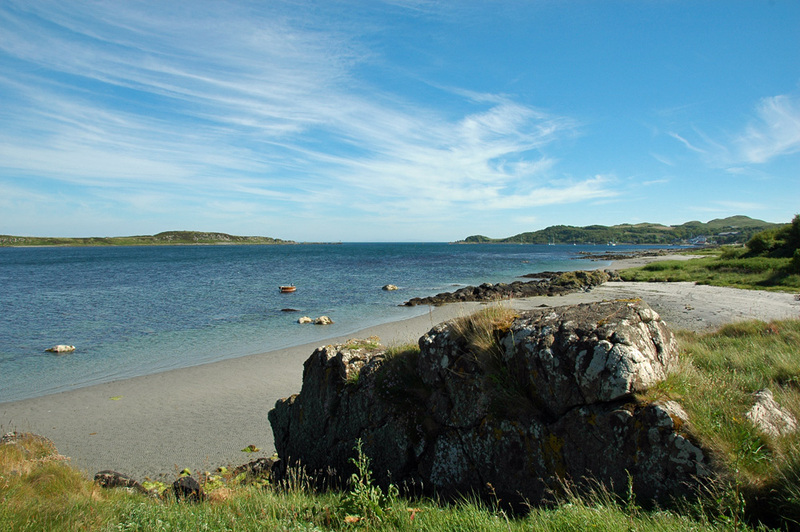 An impression from a beautiful summer afternoon on Islay’s neighbour Jura. 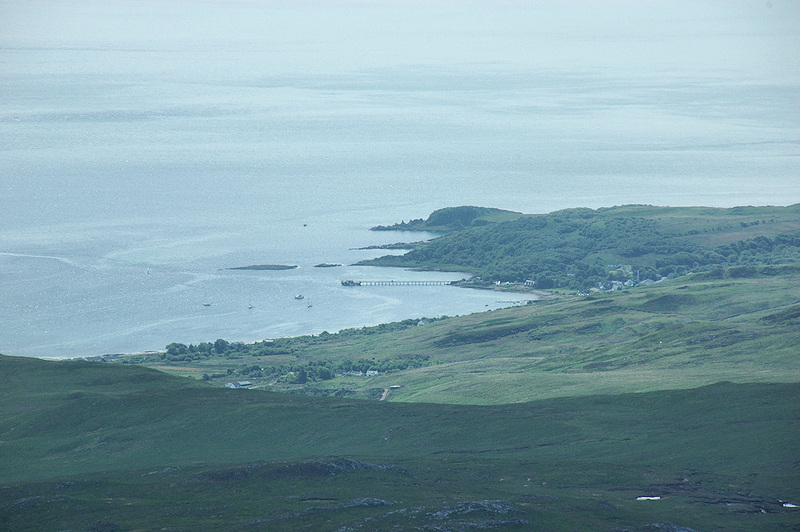 This is the Bay of Small Isles on the east coast of Jura. Jura’s main settlement Craighouse with the distillery on the right. One of the small isles the name comes from on the left, Eilean nan Gabhar.